The concert starts officially at 7:30 p.m., but our set begins a short time before then. 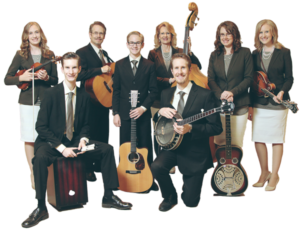 Tickets are $16 in advance and $19 at the door, so order yours today to join us for this special concert! 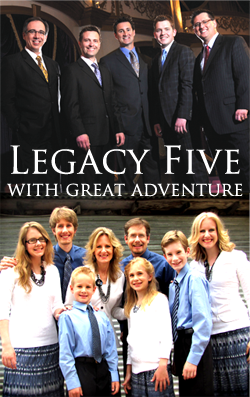 (Click on the Legacy Five button to get more details and order tickets.) We would love to see you there! P.S. If you would like to view our latest e-newsletter with other newsworthy items, including information about the Glory Bus and the Christmas CD, click here. Oh wow, that is wonderful!! 😀 I can imagine how excited you all must be! !